Gifting Silver items has been followed for ages. Silver is the second more important metal next to Gold, be it Indian Wedding or Olympics medals. Unlike Gold, Silver has a different set of unique properties and can still be used in a variety of cases. While Gold is only to wear as jewellery, Silver has its’ use cases in vessels, plates, glasses, too! Even a small baby’s accessories are made of Silver. 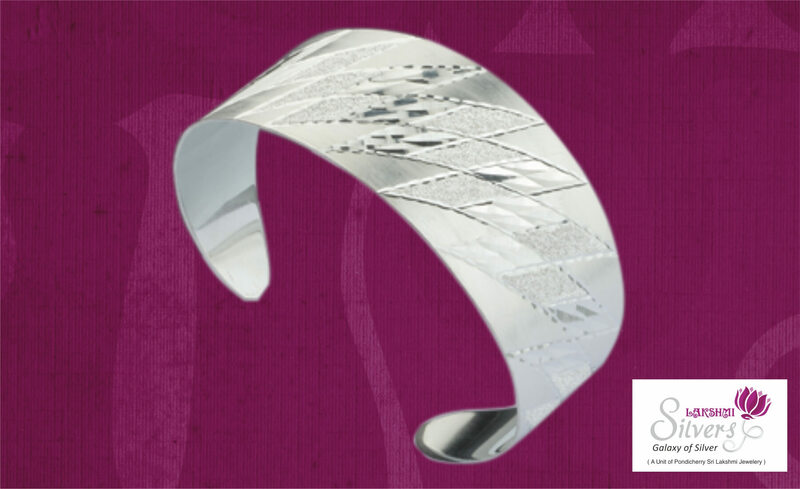 The unique properties of Silver not only makes the product shine but is also believed to have some elements that are healthy. That is the reason you see people eating and drinking in Silver plates and glasses respectively. We can’t think of any important occasion happening in India without Silver. 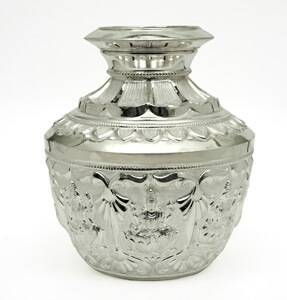 Silver products are mostly used as gift articles, be it a baby shower event, or a baby naming ceremony, or the grand wedding, or a house warming ceremony, the important wedding anniversaries like 25th anniversary,50th anniversary etc. Best part is price of silver gift items will be in the range of Rs. 1,000 to Rs. 3,000 which is affordable wedding gift in that range. Most people present boring silver gift for wedding couples, that cannot be used in day to day life. Any gift must either look beautiful or must be useful, if it ain’t both, then the purpose of a gift is defeated. Since, most people receive boring gifts, we believe they keep it to themselves unused and gift the same product to the less important people. And, the gift circulates. We believe gifting should come directly from the heart; anything that is gifted should make the receiver feel happy. It is better to give than to receive and everyone should insist the idea of gifting in them. 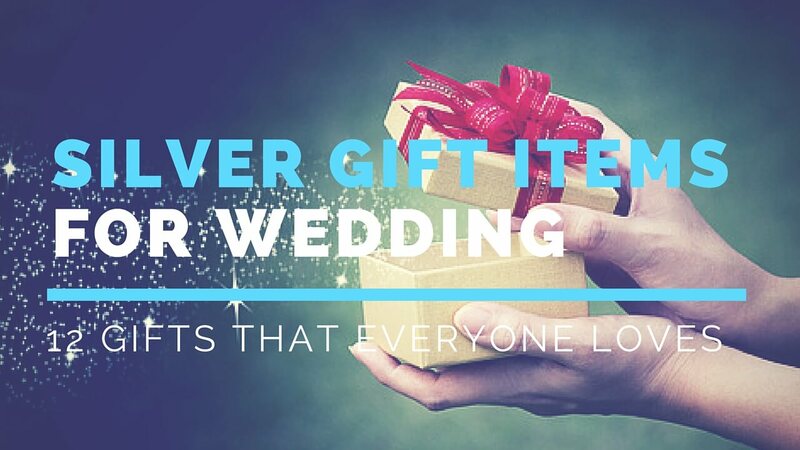 And, since we are always out of ideas on what to gift and where to gift, the team AuGrav has done a bit of research and are presenting to you some of the unique silver wedding gifts ideas that you can happily gift! Most people prefer gold coin to present on weddings and silver coin is the best alternative for it. You can buy higher weight silver coins as the price of the silver per gram is very less than gold. If you don’t want to go with plain silver coins, you can make it special by personalizing the silver coin with an engraving option. 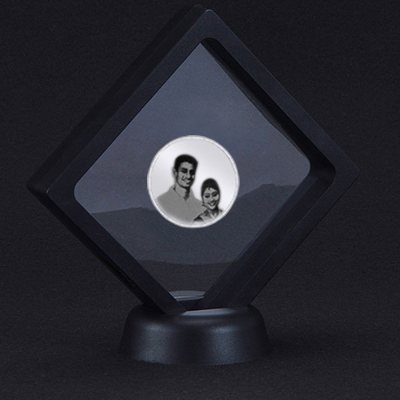 You can engrave a photo of a couple on a side and on the other side you can prefer to write wedding wishes, name and wedding date. Choose any weight like 10gms,20gms and 50gms and customize as per your wish. 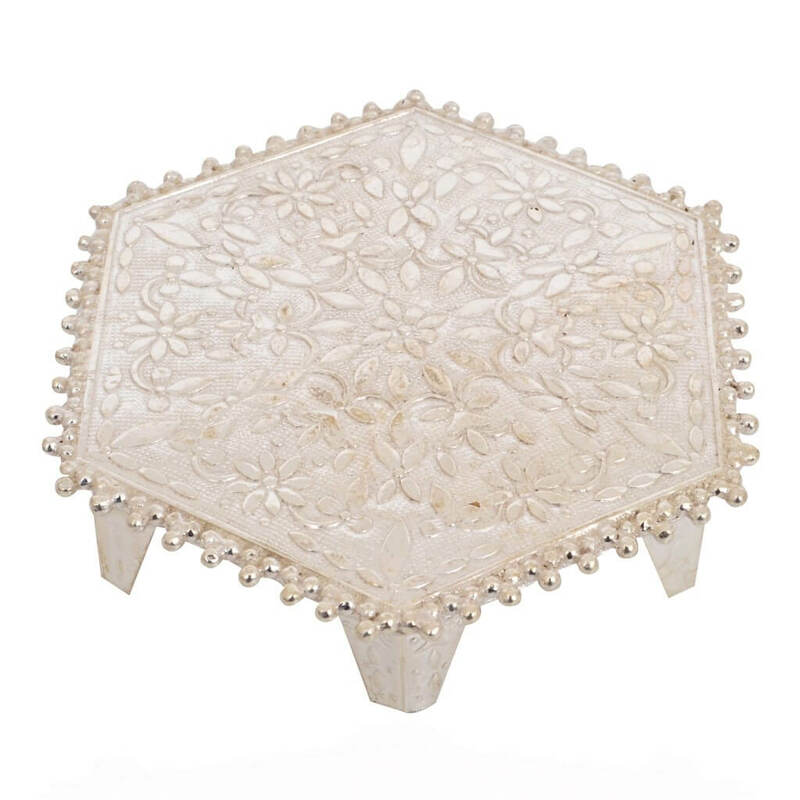 Kumkum box made in silver is the perfect gift for the women on her wedding. She will start applying kumkum on her forehead after marriage, this gift might be more useful for her. 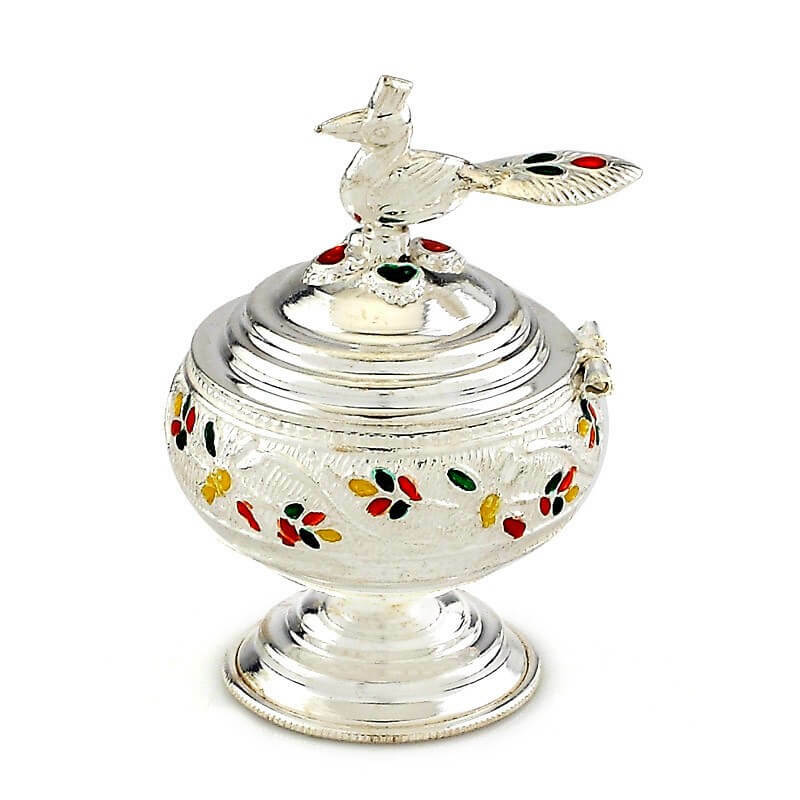 Though people use a different material to make Kumkum boxes, the one made with silver is something special. You can get different designs such as peacock, floral, lotus etc. The price of the design would be less than Rs.1,000. Lord Ganesha is being devoted as the first god in Hindu religion and Laxmi is known for prosperity. 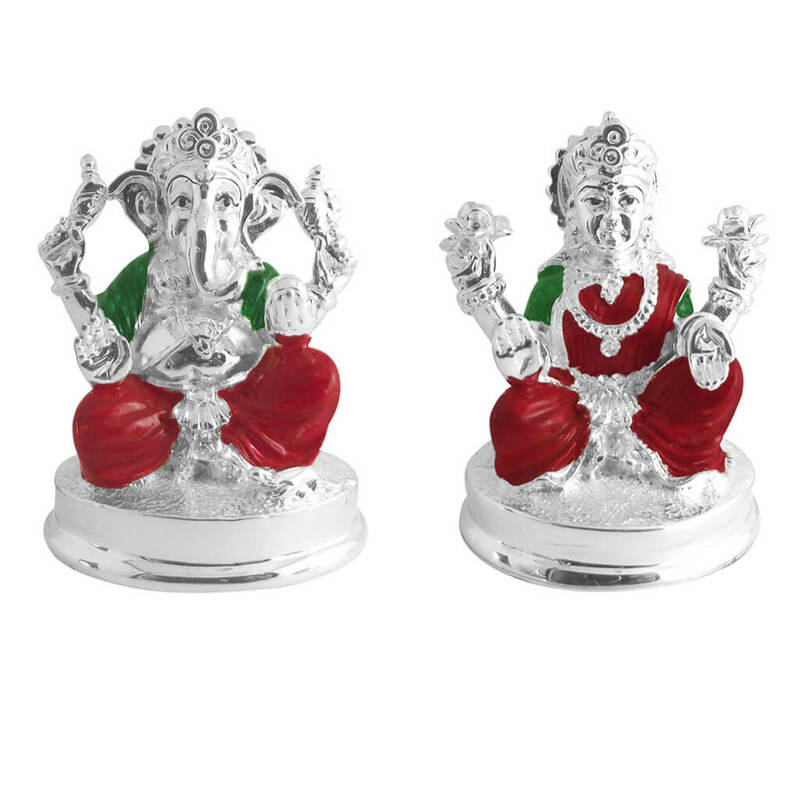 You can gift Laxmi and Ganesh idols in silver as the symbol of blessing for the beginning of couple’s new life. 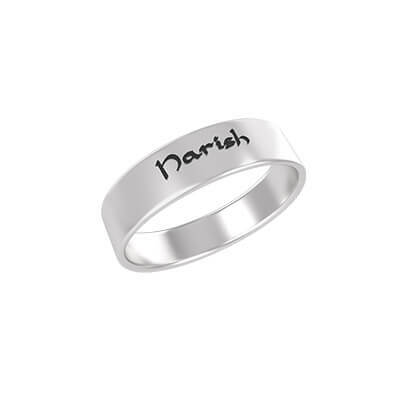 The price range of these silver gifts for marriage would be around Rs.2,000. You can prefer to buy these auspicious gifts as a combo or individually. As you know it is widely used across many in Hindu families to hold agarbatti in pooja room. 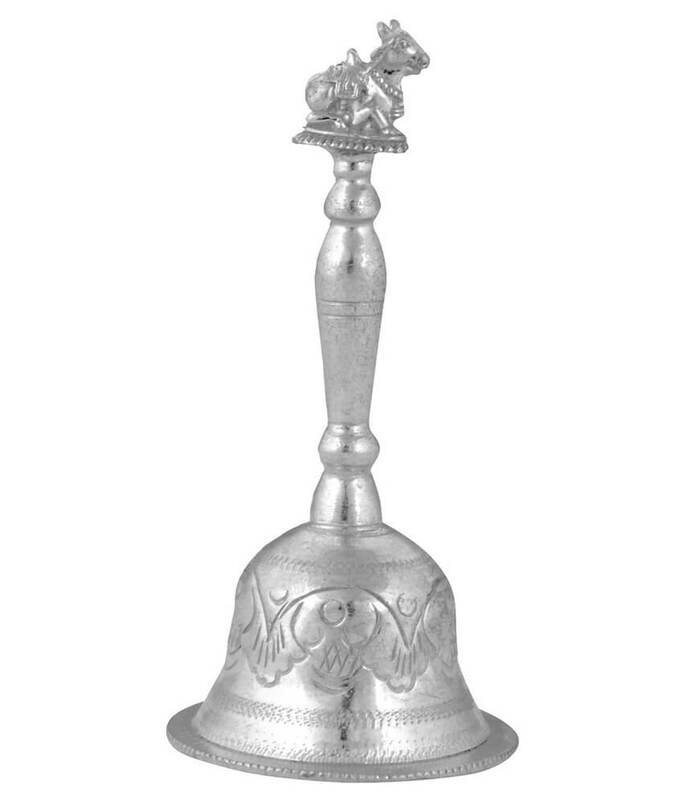 A silver bell is the part of religious elements. You can buy it with Nandhi, Vinayaga or some other designs in the handle. Lighting Diya is the most important ritual of Hindu religion. 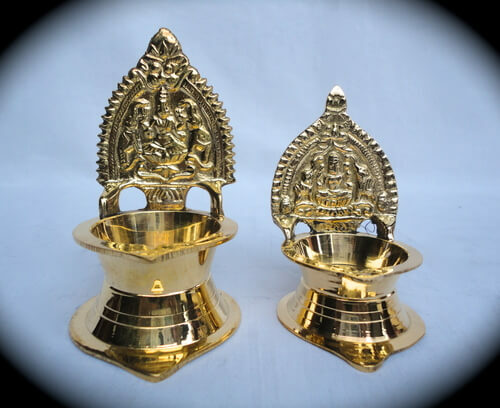 You can explore different silver diya designs in the market and choose the best one you like. Most people prefer single face kamachi vilaku or multi-face kuthu vilakku. Silver lamp is inflamed to please the moon god. You present bowl or plate to the young couple which could be used to store something. This silver gift will cost you around Rs 2,500. The main item in pooja room in Hindu’s pooja rooms. Pillayar(Vinaya gar) mani is the place where vinayaga sits. You can’t find any Hindu pooja room without this. You can buy this item in the price range of 2-3 thousand. Jewellery is most loved by women and silver is a good investment too. Though people get a lot of gold jewellery for their wedding, they won’t be suitable for everyday use as it might be expensive and reserved for special occasions. 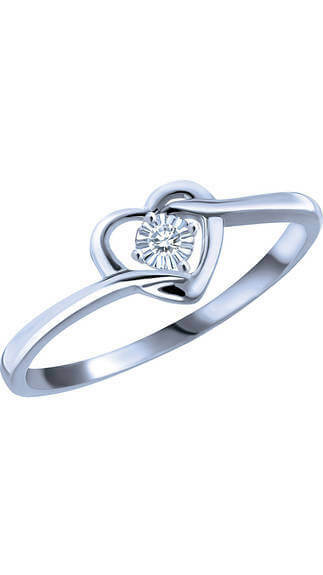 But you can gift pure sterling silver jewellery for them, which can be worn for daily usage. You can choose any jewellery like a ring, pendant, earring. You find many designs in the price range of rs. 2-3K. 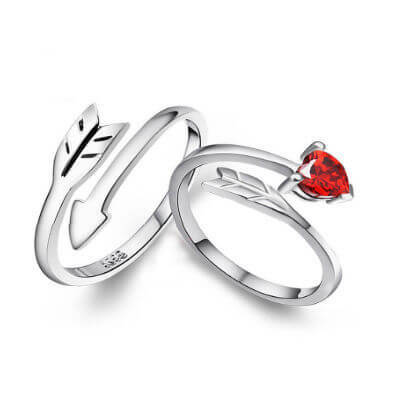 You can also choose to buy a Sterling Silver Couples Rings that are available in a wide range of designs and are sure eye catchy. 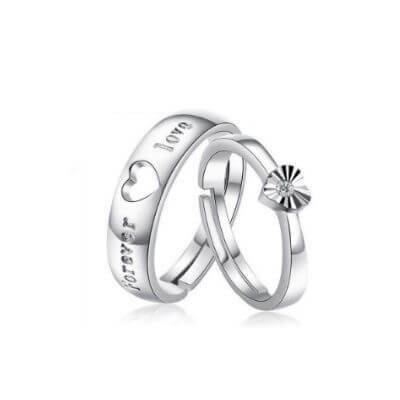 The couples will love the gift for sure and will be very trendy. This is considered as the unique gift for any occasion. Offering flower to the god is a ritual in Hindu religion and most people use flower baskets to take a flower to the temple. 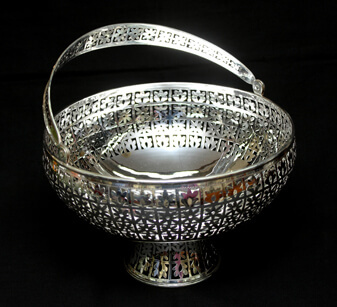 This silver flower basket cost range starts from rs. 10,000 and it go up based on the design and weight you choose. 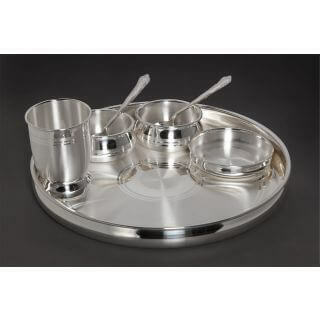 If you have a budget then you can prefer dinner set in silver, which consist eating plates and tumbler. 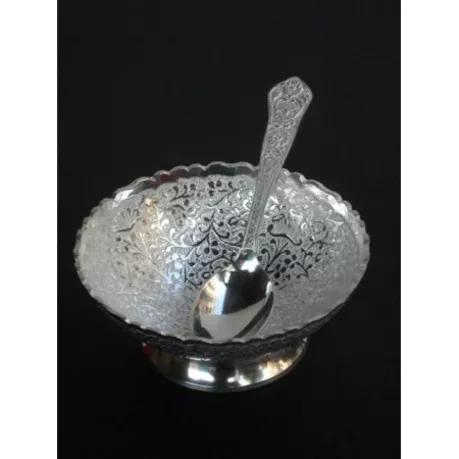 These utilities made in silver used in many families. This dinner sets starts from rs.15,000. 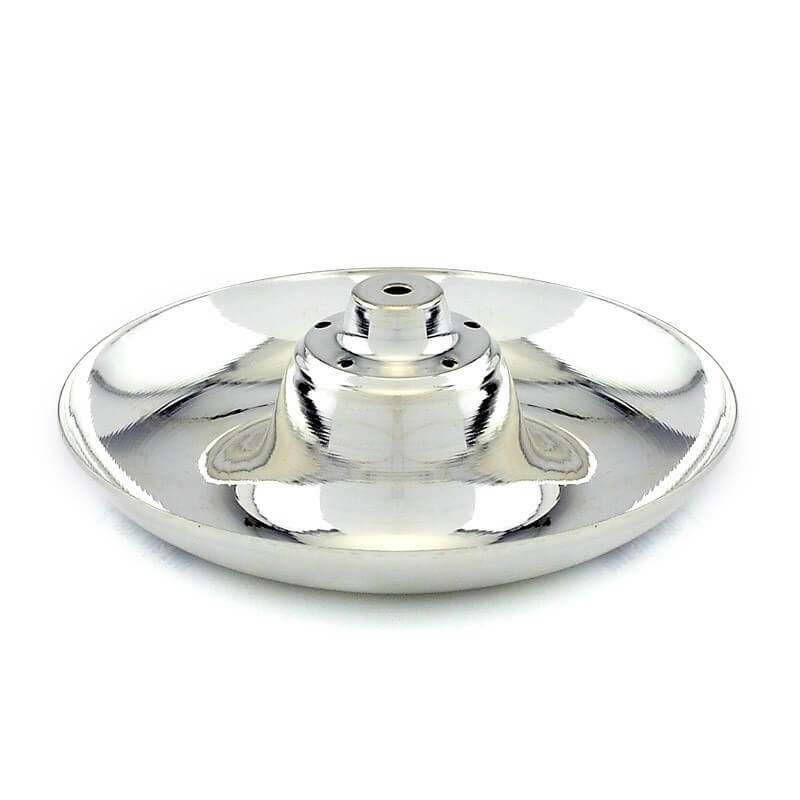 12 Perfect Silver Gift Items For Wedding That Everyone Will Love Overall rating: 4.7 out of 5 based on 235 reviews.